Is the Club Ready for an International Project? 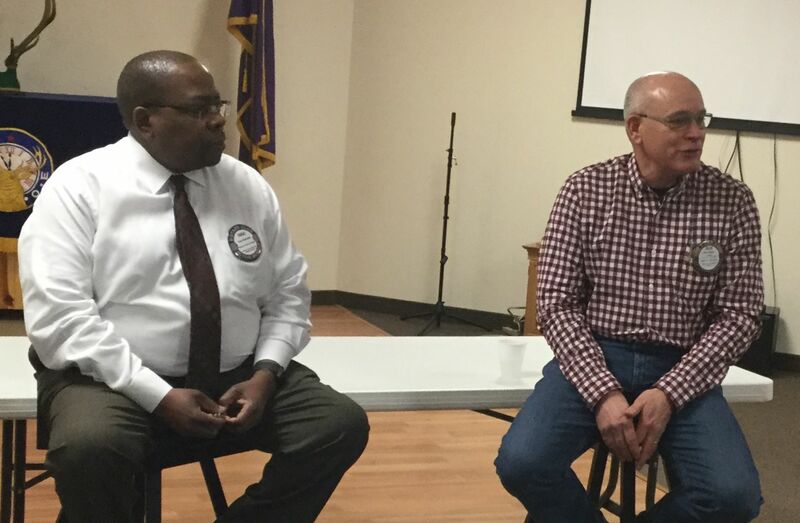 Our club's own members Farai Rukunda, left, and Brian Saxton, briefed the club on initial thoughts for an international project is Farai's home village of Arnoldine, Zimbabwe. One of the ideas being studied is a chicken and egg factory. A study by the Africa University shows the possibilities. Water and arable land for growing feed are available. Many of the pieces of a project are falling in place: there is a local Rotary in Zimbabwe, there is a possible partner for a Nebraskan Rotary Club. And RI has a person dedicated to Zimbabwe at the Evanston headquarters. A critical step would be a community assessment done according to RI standards. The club encouraged Farai and Brain to continue to explore the possibilities and return for an update in a few months.